The College would like to invite all Year 12 parents and families to the Year 12 final assembly on Tuesday 18 September at 9:45am, followed by a morning tea to celebrate with the graduating Year 12 students at 10:35am. The Year 12 students will process into the Swan Centre (Gym) to be acknowledged on stage by students from Years 7 to 11, College staff and guests. There will be an address to the Year 12 cohort, performances from Year 12 students, and a response from the College Captains. 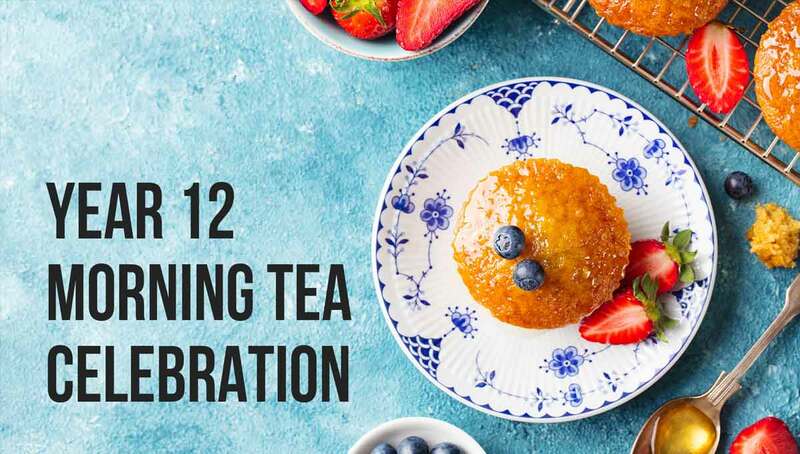 After the assembly, guests will be invited to the grassed area outside the Swan Centre to share some time with the students and enjoy a morning tea. There is no charge for the event and you may invite other family members, however, we anticipate the occasion will be well attended, so request that you register your attendance by Tuesday 11 September at https://tinyurl.com/Yr12Final2018 so we can organise parking, seating and adequate catering for everyone. We look forward to sharing this step of the Year 12 journey with you.